Genderqueer fourteen-year-old Z Chilworth has to adjust quickly to their new status as a zombie after waking from death from a car crash that killed their parents and sisters. Always a talented witch, Z now can barely perform magic and is rapidly decaying. Faced with rejection from their remaining family members and old friends, Z moves in with Mrs. Dunnigan, an elderly witch and befriends Aysel, a loud would-be-goth classmate who is, like Z, a loner. As Z struggles to find a way to repair the broken magical seal holding their body together, Aysel fears that her classmates will discover her status as an unregistered werewolf. When a local psychiatrist is murdered by what seems to be werewolves, the town of Salem, Oregon, becomes even more hostile to "monsters," and Z and Aysel are driven together in an attempt to survive a place where most people wish that neither of them existed. 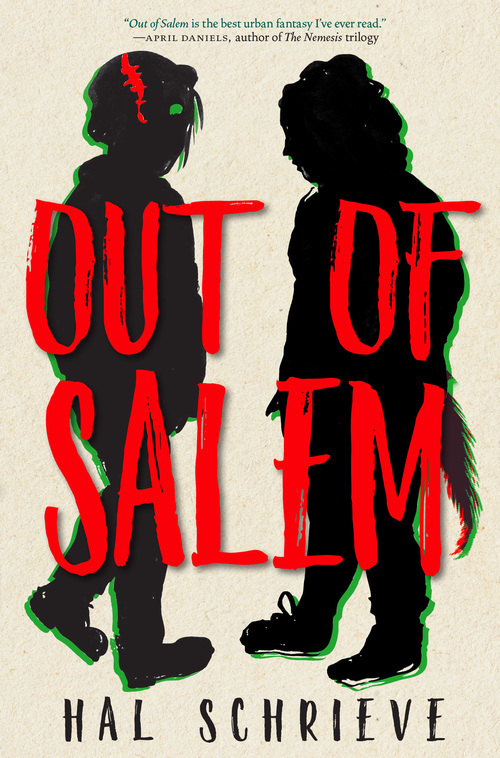 Rarely has a first-time author created characters of such immediacy and power as Z, Aysel, Tommy (suspected fey), and Elaine (also a werewolf), or a world that parallels our own so clearly and disturbingly as that in Out of Salem.